“Milagros” means miracles in spanish. 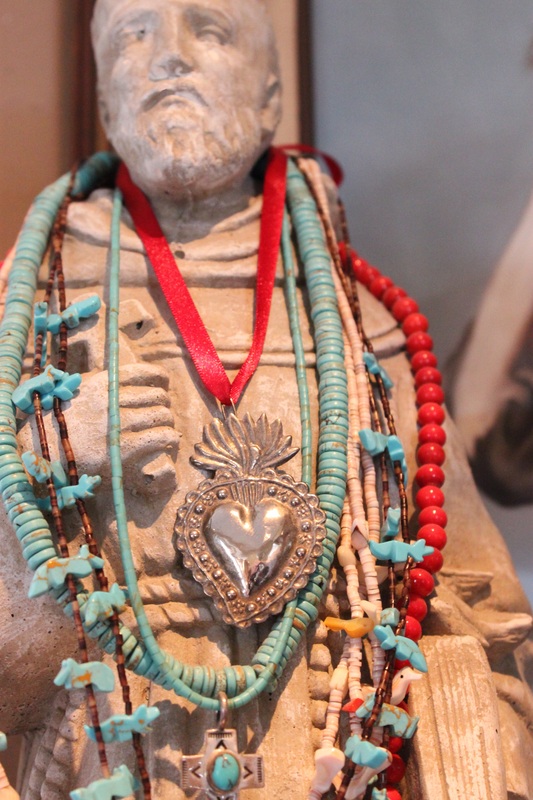 Milagros are small religious folk charms found throughout Latin America, especially Mexico and Peru. They are also used in Europe, there they are called “exvotos”, or offerings. These small charms, usually about 1/2 in size, but can be as big as 6-8 inches, are most often made of pressed tin, but they can also be gold, silver, wood and even wax. 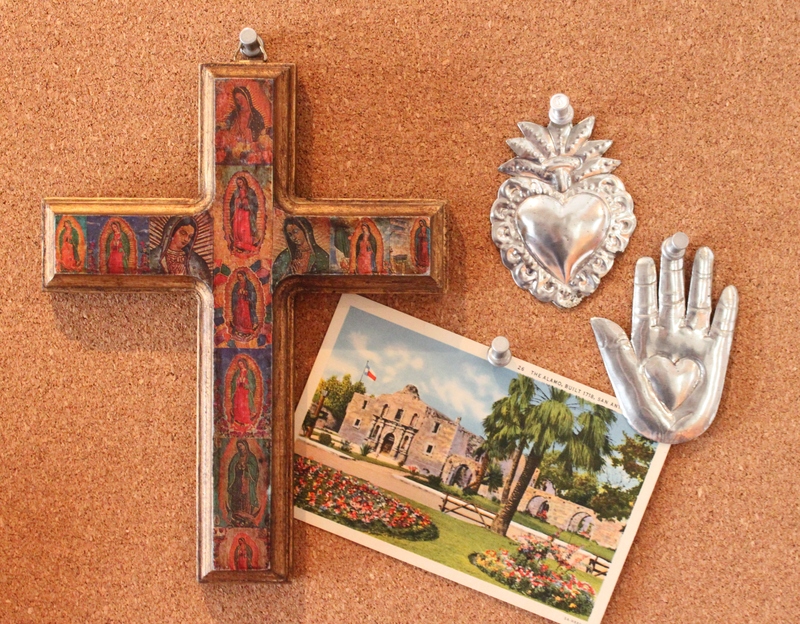 Milagros are usually purchased from street vendors outside churches, shrines, and other places of worship. These little offerings are nailed to (or even pinned to the clothing of ) saint statues, hung with red ribbon on altars, shrines, and other sacred objects (even people, as many are made into jewelry) as part of an act of devotion. Milagros are offered as a symbol to a saint as a reminder of a special need, or as a “thank you” for answering a prayer. Sometimes they are used to focus attention towards a specific ailment, and even just carried for protection and good fortune. These small charms depict a huge number of subjects; body parts (like hearts, heads, crossed arms and legs), houses, farm animals, babies, and people praying. Their symbolism is not universal and seems to be up to whatever the bearer intended the prayer to be for. For example; a leg milagro might be a prayer to heal someones leg or foot, or it could be a desire to have a visitor or travel themselves. There are no wrong answers. The heart milagro is the most common offering. Unlike American Valentine’s Day hearts, the traditional heart milagro is usually anatomically correct; some even have blood vessels coursing across the front. 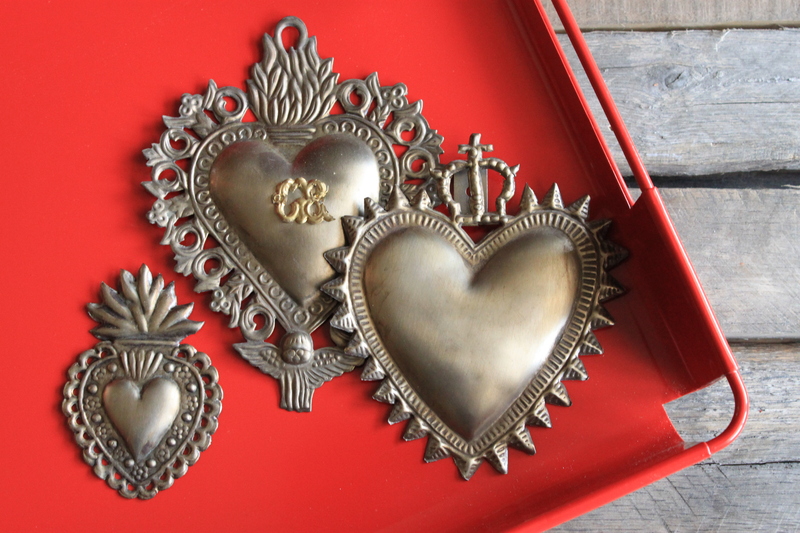 Here’s a handful of “classic” heart milagros that I’ve picked up in my travels to Mexico and around the Southwest. The meaning for these heart-shaped charms can be as diverse as healing for a heart or circulatory condition or to bring passion to your life. But mostly, a heart milagro represents love, healing, and gratitude. Glad that you like Barbara, they are pretty cool little thing to collect ……and cheap too…..the small ones are usually about 10 for a dollar.